Often this spring, I have warned farmers not to plant one day too early to avoid "mudding in" the corn or soybeans. When we plant just one day too soon, we increase the chances of getting sidewall compaction and run a higher risk of keeping the roots bound within the furrow. Roots trapped in the furrow can lead to some real problems later in the growing season. However, yesterday, I disregarded all of that caution and mudded in soybeans. 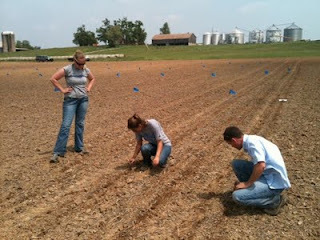 The deadline to enroll in the ACRE program for the 2011/2012 marketing year is June 1. We are about to complete the second year with the ACRE program in Kentucky. 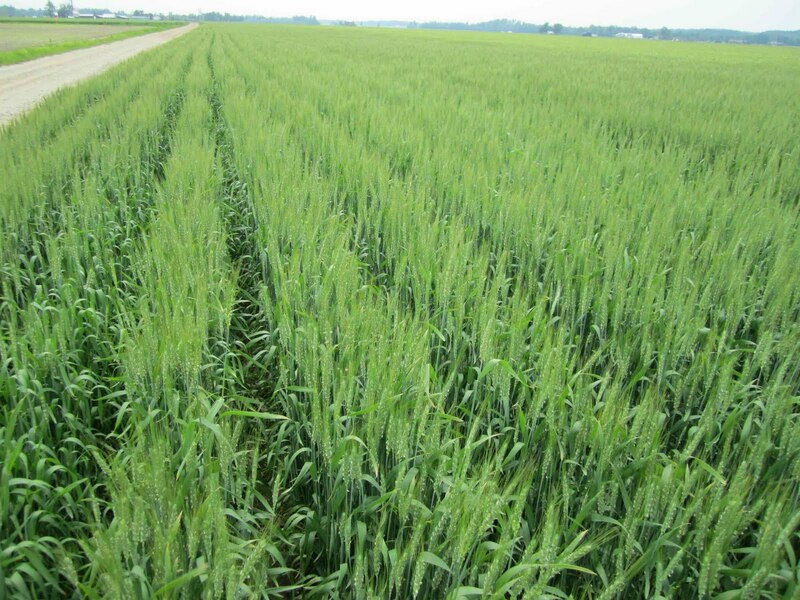 ACRE payments were made for the 2009 wheat crop of about $95 per acre. The wheat payment was driven by lower state yields and a lower national average price. No other crops received an ACRE payment in 2009. For 2010 it is unlikely that ACRE payments will be paid for corn, soybeans, and wheat, due to the fact that prices have increased substantially for all three crops. However, with the current volatility in the market, unknown state yields, there exists a chance that ACRE payments could be made in 2011. The purpose of this article is to show expected price guarantees, where prices need to drop to trigger a payment, relationship between ACRE and the Counter-Cyclical program and probability of payments given current prices and unknown yields for the 2011/2012 marketing year. As producers rush to get corn planted, please remember to take time and check planter depth from field to field. The variability in soil moisture and soil type can affect the depth that seed is placed. Ideally, most corn seed should be planted around 1.5 inches deep. Corn seed depth should not exceed 2 inches and should not be less than 1 inch. Deeper plantings will delay emergence while shallow plantings may cause lodging problems later. Everyone is under pressure to get as much corn in the soil as quickly as possible. However, taking just a few minutes to double-check seeding depth could alleviate a lot of problems later. Although new-crop corn and soybean prices are near record highs, planting conditions remain terrible throughout Kentucky as of early May 2011. It is estimated that only around 5% of the corn crop has been planted. Grain farmers throughout the state are now worrying whether they will get their crops out in a timely manner this year. An associated question being asked is at what point should they stop planting corn and switch to soybeans? In order to answer this question, we need to estimate potential yield losses for late planted corn and compare the associated profitability against soybeans. The prolonged wet conditions this spring have created additional challenges in regards to weed control. The following are possible scenarios that corn farmers may encounter and factors to consider as we progress through the next several days.